Color, cut and glue the Thanksgiving turkeys in order from smallest to largest! 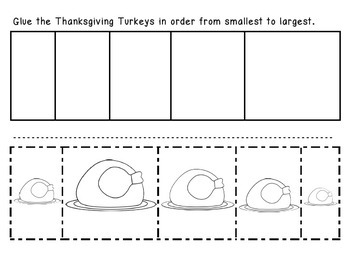 Looking for more THANKSGIVING worksheets? Check out my Thanksgiving Pack!